We're sorry but all Type / Finish combinations for this product are currently out of stock. You can be notified upon their arrival by choosing the Type and Finish options you are interested in and then entering your email in the box below. Newly-designed stepped headers coupled with anti-reversion technology and a patented stepped baffle make your V-Twin engine perform to its maximum capabilities. While most 2-into-1 exhausts are known solely for their low-end torque, Rinehart gives you the best of both worlds in low, mid, and high-end torque and horsepower. Equalized back pressure ensures solid response without sacrificing the power Rinehart systems are known for. 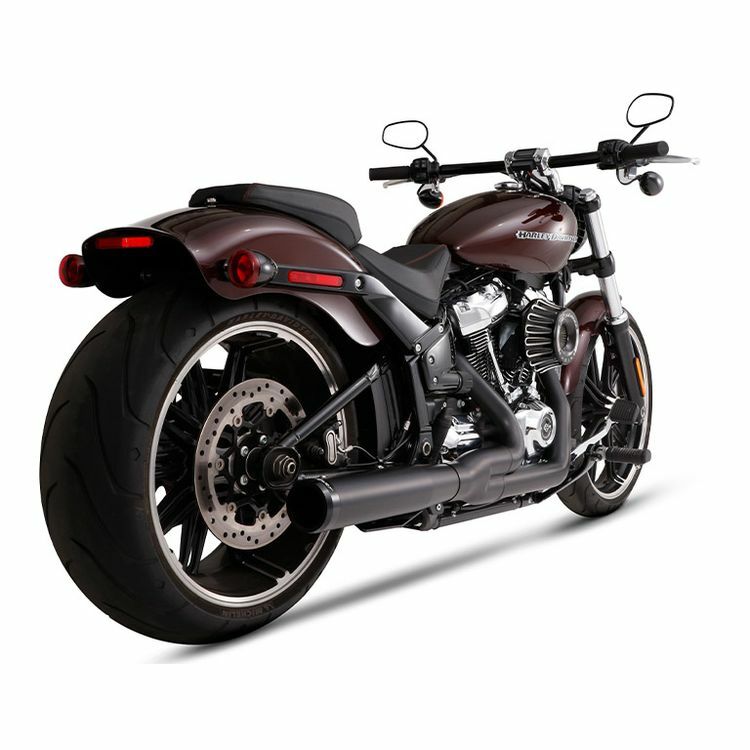 Coupled with a sleek design, featuring a half megaphone and half straight muffler with a billet end cap and heat shields that fit together like a glove over the collector and primary tubes, this 2-into-1 system not only performs, it looks like a piece of art. Rinehart offers an industry leading limited lifetime warranty on their exhausts and a 2 year warranty on black finish coatings. See attached warranty sheet for full details.